Halloween Season : Template 54013 is inspired by the Halloween season. 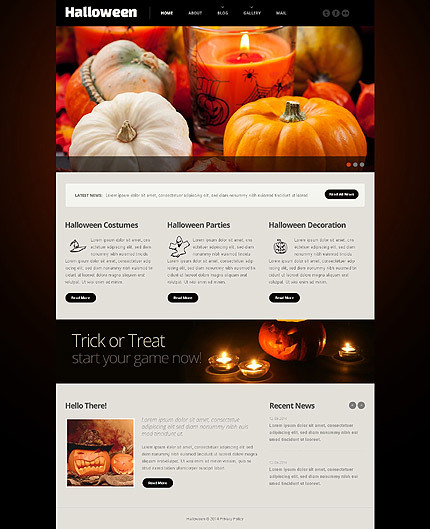 If you are preparing your site for the Halloween, this template is a great choice. This template is proven to drive more traffic to your website not only on the holiday season but all year long. Lots of graphics that reflects the Halloween season are included within the design. Bonus with every purchase With each template purchase you get Free Web Design Elements: photos, fonts, icons, 3d models, sounds. Buy template 54013 from zeronese today and get access to the Free Clipart & Free Web Design Elements library.